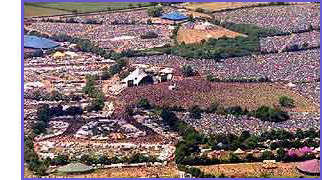 As Stevie says, Glastonbury needs you. Or more precisely, guardian.co.uk/music needs you to help with our 24-hour Twitter coverage of the world's best music festival. If you followed our online Glastonbury coverage last year, you'll have noticed our constant stream of tweets keeping you updated with the latest news and gossip from journalists, bands and special guests. Well, we'll be doing the same again this year, but we want you to be involved too. So if you're going to be tweeting at Glastonbury this year, send a message to @guardianmusic and tell us in 140 characters why your tweets will be essential reading. We'll choose the best ones and get in touch so we can add you to this year's Twitter stream.